Root canal therapy gets a reputation as being an uncomfortable, arduous procedure. It’s the epitome of a rough dental treatment. For that reason, you may feel apprehensive about undertaking root canal therapy. However, hold off on or avoiding a root canal procedure is the worst thing you can do for the health of your tooth. If your dentist recommends root canal therapy, that’s because this is the best way to save and preserve your tooth. On today’s blog, we explore exactly what goes into a root canal treatment and why this procedure is so valuable. Root canal therapy provides treatment for the roots of your tooth. The roots hold your tooth in place in your jaw. When bacterial infection infiltrates the surface of your tooth and works through the pulp of your tooth, it can reach the root canals. These canals allow nutrients to travel to and from your teeth. That means that bacteria can use these passageways to travel to other oral tissues and spread infection. If you don’t remove this bacteria, it can create health consequences in other parts of your body. When your dentist administers root canal therapy, he or she will create a small hole in the root of your tooth to access the interior. Your dentist will then extract the bacteria to halt the spreading infection. Afterward, your dentist will use a biocompatible, rubber-like substance to rebuild the structure of your tooth and seal it to prevent more bacteria from entering. If your tooth root erodes, it may put your tooth at risk of falling out. Dr. Michael Flynn understands the important of restorative dentistry. 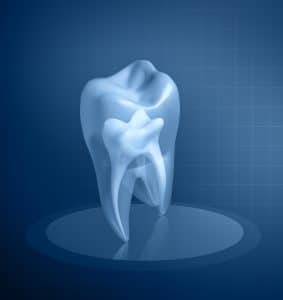 If the roots of your tooth are suffering from infection, you need root canal therapy right away. Your tooth won’t start to recover until you take action. Dr. Flynn provides professional care in a comfortable environment, so you can rest easy during the entire process. For a consultation or a checkup and cleaning, contact Michael Flynn Dentistry in West Allis, WI at 414-541-8250.